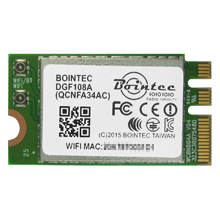 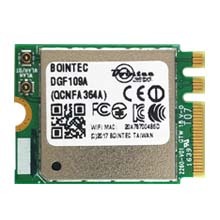 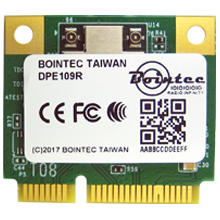 DPE109A is a dual band 802.11ac/a/b/g/n Dual-Band WiFi + Bluetooth miniPCIe adapter. 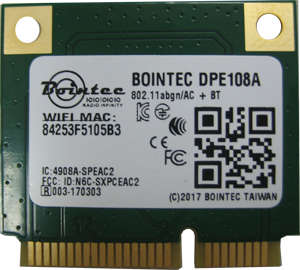 It is a 2T2R (WiFi/BT co-existence supported) technology, with 20/40/80MHz and 256-QAM to maximize bandwidth. 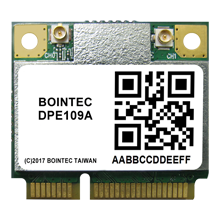 DPE109A lets you move at the speed of life with faster speeds (up to 867 Mbps, 1~3Mbps EDR for Bluetooth), higher capacity, broader coverage and longer battery life. 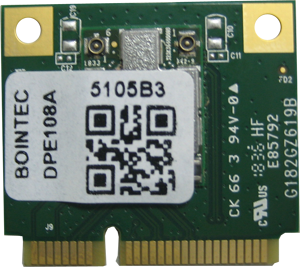 Dramatically reshapes your connected experience. 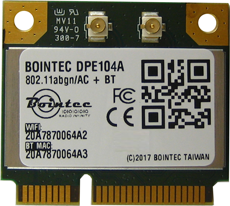 As usual DPE109A incorporated with advanced security encryption, such as WEP, WPA, WPA2, and 802.1x for secure wireless connection.